Produced in a limited edition of 10 pieces ("LIMITED EDITION 1 OUT OF 10"), this timepiece is retailing exclusively on Cortina Watch's Online boutique. In 1795 Abraham-Louis Breguet invented the tourbillon to counter effect of gravity and improve the accuracy of pocket watches. The mechanism today is seen as one of the most difficult to make in watchmaking. In a standard mechanical watch, the escapement is fixed, and it is impossible to regulate it to keep the exact same rate no matter which position that watch is in (dial up, down, crown up, down ,etc.). Enter the tourbillon. In a tourbillon, the entire escapement is housed in a rotating cage, and the whole assembly is constantly moving. That means no matter what position the watch is in, those timing variations are essentially canceled out. At Baselworld 2016, TAG Heuer made waves with the release of the TAG Heuer CARRERA Heuer-02 T, which was then the only COSC-certified automatic chronograph with Tourbillon produced by the Swiss watch industry. A special all-black limited edition of 250 pieces, named the Black Phantom, was also launched at the same time. With the success of the first generation Carerra Heuer-02T, TAG Heuer presents the latest member of the collection, the ‘Carrera H02T Cortina Special Edition’ available exclusively on Cortina Watch’s online boutique (www.CortinaWatch.Online). Fitted with COSC-certified chronometer movement, the ‘Carrera H02T Cortina Special Edition’ comes with a specially designed calf skin strap with rubber that is inspired by TAG Heuer shield geometry and an additional rubber lined black alligator strap. 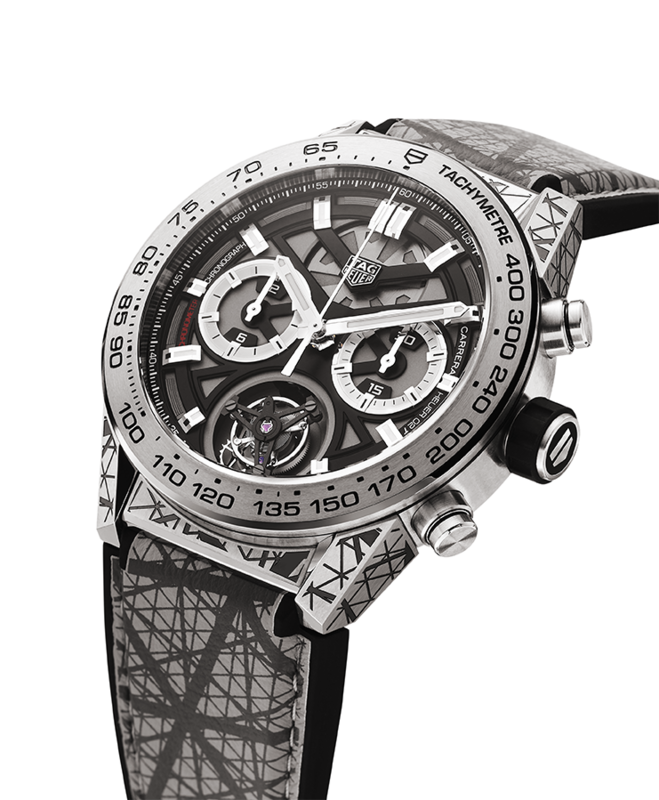 It is produced in a limited edition of 10 pieces, with “LIMITED EDITION 1 OUT OF 10” special engraving on the caseback. The TAG Heuer CARRERA Heuer-02T is contemporary interpretation of two of traditional watchmaking’s most famous complications – the tourbillon and the chronograph, with the latter being one of TAG Heuer’s well-known strengths. The tourbillon housed in the TAG Heuer CARRERA Heuer-02T, is a lightweight one, hand-crafted by 4 watchmakers, using central sections made from titanium, a carbon top section, and has a power reserve more than 65 hours. Power is supplied to the movement using a single barrel, which together with the chronograph functions, automatic winding mechanism and flying tourbillon, are contained within a diameter of 32mm. The main components of the Carrera Heuer-02T are manufactured within the workshops of the TAG Heuer Manufacture, while the balance spring of its tourbillon is produced by Atokalpa, the brand’s Swiss partner. Each movement is fitted, assembled and adjusted by hand, and then sent for a 21-day testing procedure by Contrôle Officiel Suisse des Chronometres (COSC), an independent testing body. This guarantees that the chronometer meets the highest accuracy standards when worn. The movement is housed in a refined, yet sporty case which embodies the signature TAG Heuer design codes. Made of grade 5 Titanium, and constructed using 12 modular components, it is also waterproof to 100 metres. Discover the TAG Heuer Carrera H02T Cortina Special Edition’ at our online boutique now. Explore our E-Manual on “How To Use The Tachymeter On A Watch” featuring this timepiece.